An adrenaline-fuelled new business venture offers skiers and snowboarders the chance to experience both the snow and culture of Japan when winter ends in New Zealand. After falling in love with the New Zealand ski scene several years ago, Queenstown-based Adrian Gourlay has decided it’s time to pursue a business idea he’s had for some time to help more passionate snow enthusiasts enjoy winter sports all year round. Teaming up with marketing expert Ed Raine, the duo has developed a unique travel product enabling clients to spend a full winter season in one of Japan’s top ski resorts, training for a ski or snowboard instructor qualification and with the guarantee of a season’s employment as an instructor to follow. The company Adrian founded is called WE ARE SNO and this winter is providing a series of courses in the Japanese ski resorts of Niseko and Myoko, with further winter courses to follow in other Northern Hemisphere resorts. 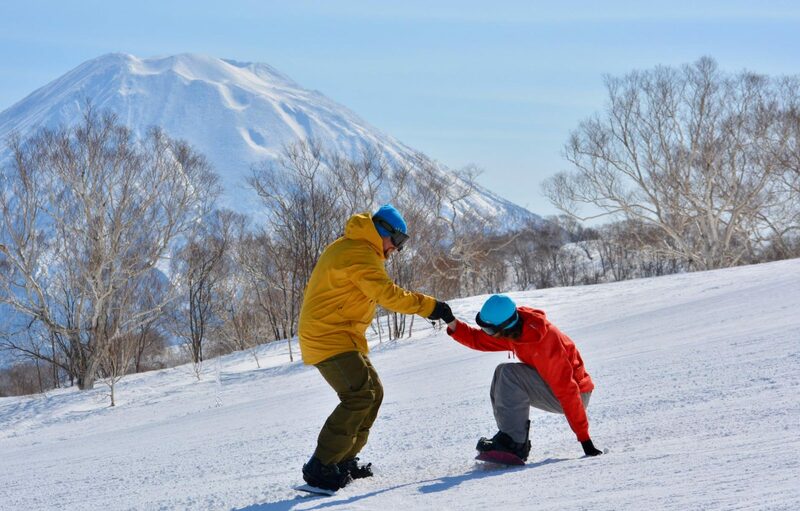 The externally-organised courses will be a ‘first’ in Niseko which is Japan’s biggest and most popular resort (which means the most work as a newly-qualified instructor). Niseko won best Ski Resort in Japan at the 2016 World Ski Awards, is nominated for it again in 2017 and has also previously been nominated for World’s Best Ski Resort. We Are Sno saw a gap in the snow enthusiasts market for individuals keen to embark on their snowsports career. Many ski schools do not have the marketing reach to attract enough people to courses, but with offices in New Zealand, Australia and the UK, We Are Sno is targeting snow lovers from around the globe. “Plenty of people want to do these courses but if they’re trying to organise it solo there’s a lot of red tape and organisation with examiners, training staff and resort logistics, often with the added difficulty of language and cultural barriers,” said company director Adrian Gourlay. “We’ve packaged up everything into one ski or snowboard product offering training and tuition, accommodation and a paid job offer, with avalanche and backcountry training included as standard. “Once they’re qualified, people get employment in the same resort, for the rest of the season. “Many of the ski school managers we work with in Japan also work in Southern Hemisphere resorts, so our newly-qualified instructors are also likely to find work in Australia or New Zealand the following season. Mr Gourlay said the new business was “something I’ve wanted to do for years”. The ski or snowboard qualification is internationally-recognised and can take instructors to the USA, Canada, Switzerland, New Zealand, Australia and elsewhere. Mr Gourlay said We Are Sno was also striving hard to bridge the gender gap in snowsports. “Currently some 85% of instructors are male, but we’re trying to do everything we can to encourage more females to make their careers in the industry,” he said. The company is undertaking user-research into the issue, interviewing female instructors to get a better understanding of the market, as well as talking to prospective female clients to understand their objections or fears. Mr Gourlay said We Are Sno had created products that fulfilled demand without making costs too high, thereby making courses only accessible to the wealthy. “We only work with the best resorts where high standards of training are guaranteed and there’s plenty of work, including additional training qualifications to make our interns more employable, but we keep it reasonable. Crowne Plaza Auckland is turning the boardroom into the ‘not-so-bored’ room and put the excitement back into ‘experiences’ for meetings, incentives, conference and events guests. The 352-room city centre hotel launched its latest video campaign today (Monday November 27) to help take bookers on a visual journey of the hotel, and to offer a little inspiration on what can be done in its varied and flexible event spaces. Making its debut in the video is Crowne Plaza Auckland’s newest gala dinner package. 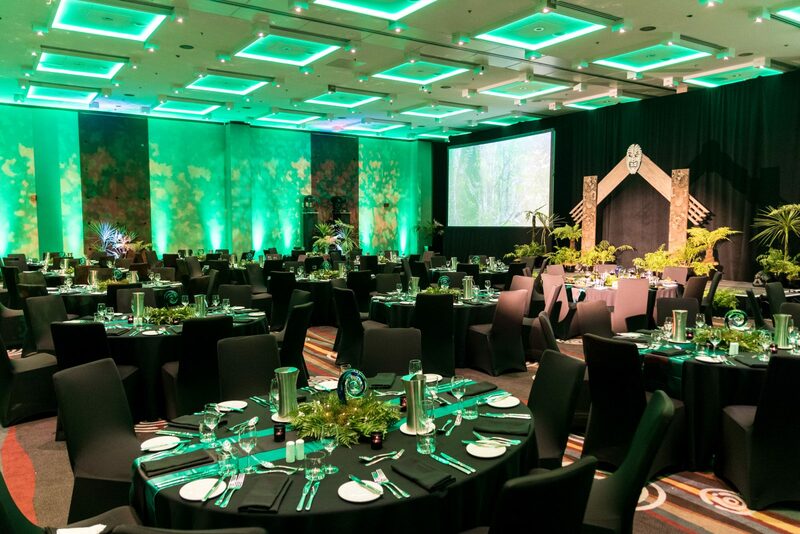 The New Zealand Gala Dinner package offers guests a unique welcome and insight into some of Aotearoa’s culture including a 15-minute Māori welcome, a New Zealand-themed buffet and Aotearoa-inspired decorations, along with inclusions such as stage and dance floor hire. The video also showcases hotel facilities such as the Club Lounge – an exclusive area with all the ‘bells and whistles’ available to guests who stay the night in a Club room. The changes have come from Crowne Plaza’s new brand tagline ‘we’re all business, mostly’ and a recognition that delegates and guests are looking for unique spaces and experiences coming into 2018. Based on the modern business traveller, the campaign also recognises that delegates want to make the most of every opportunity when travelling for work to make time inside AND outside the boardroom really count. It’s in line with a new European study that recognises meetings built around ‘all work and no play’ makes for a dull Jack or Jill. The IHG study has revealed business travellers admit work trips are more fun and enjoyable than they let on, with nine out of ten making the most of downtime by getting out and about to explore the city, ticking off their personal travel ‘to do’ list. Crowne Plaza Auckland is conveniently located in the heart of the city’s business, entertainment and waterfront district, and General Manager Tim Pollock said it was the perfect base for guests to “do business and get out to experience the best of the city”. To help guests do just that, the hotel’s created an online guide to Auckland business travel featuring ‘must-do’ activities for their downtime, dining hotspots and team building exercises around the city. “Business trips have somewhat changed,” said Tim. “The new video campaign reinforces to the MICE market that work and downtime can be mutually productive. “We do the fundamentals extremely well but in today’s market it’s about creating unique experiences to excite and delight delegates, so we’re continuing to work on new projects coming into 2018. The hotel is home to ten flexible function rooms catering for everything from an executive boardroom meeting for 12 to a presentation or gala event for up to 460 guests. All meeting and conference rooms are fully equipped with modern sound and visual systems, complimentary Wi-Fi and interactive projectors. The hotel’s audio-visual specialists supply all the presentation needs from a data projector to staged events and widescreen presentations. Many of the function rooms are bathed in natural light, with all rooms providing bespoke flexibility. The hotel’s renowned Aria Restaurant and Bar also creates the perfect venue for a business lunch or group celebration. Crowne Plaza Auckland also recently launched three new packages – Mostly Energised, Mostly Inspired and Mostly Social – to ensure downtime is as productive as work time. Whether guests are in Auckland for business, an event, need some much-needed rest and relaxation, or are looking for a weekend escape, the packages are designed to leave them feeling inspired, energised and connected. Tim Pollock said the packages tied in perfectly with meetings and conference business. See the video campaign here and find out what’s on offer for the Auckland business traveller this summer here. Boundless skies, New Zealand’s most stunning alpine scenery and an authentic appeal to the adventurous are the hallmarks of a freshly-branded skydive company. For the past five years the former Skydive Paradise has been playing little brother to its older and bigger sibling NZONE Skydive. Now Skydive Southern Alps is having its moment in the sun with a brand refresh that reflects and explains what a truly amazing experience Skydive Southern Alps is, targeting the explorers and adventurers among New Zealand visitors looking for the ultimate skydive experience. Skydive Southern Alps is part of Australasia’s fastest-growing tourism company, Australian-based publicly listed company ExperienceCo. The company acquired the Glenorchy-based skydive company when it bought sister operation NZONE Skydive two years ago. 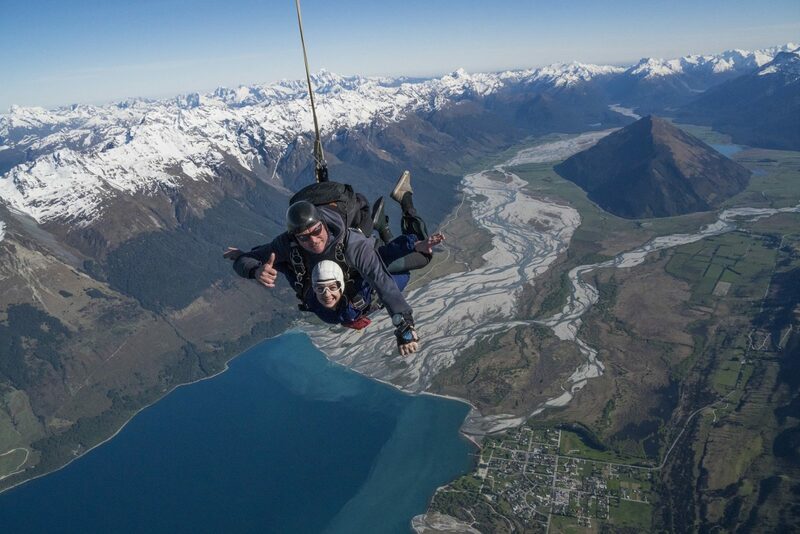 “The grandeur of the scenery as guests jump from a plane 15,000ft above the rugged snow-capped Southern Alps, the braided channels of the Dart River, crystal clear Lake Wakatipu and the gorgeous township of Glenorchy makes this a breath-taking experience,” says Marketing Manager Stephen Thompson. “People who love a sense of discovery are ecstatic about the whole experience, starting with the spectacular 45-minute lake edge drive from Queenstown to the beautiful and remote Glenorchy in the heart of the mountains. “It’s a very personalised trip for small groups shared with a handful of our friendly and highly-experienced flight and ground crew. “When they get to the dropzone they love the vibe and the natural environment as they prepare to skydive and then share their skydive experience with our staff and other customers. Once they’ve made the leap of faith to leave their perfectly good plane, guests have up to 60 seconds of freefall to take in the 360-degree views from above, appreciating the scale of the 500km-long Southern Alps, the backbone of New Zealand’s South Island. On a clear day they can see as far as Mitre Peak in Milford Sound on the wild West Coast of the island. For a tempting ‘taster’ of a Skydive Southern Alps trip click here. Guests wishing to book their skydive adventure of a lifetime can visit the dedicated new Skydive Southern Alps Shop in Queenstown’s Shotover Street. Two years ago, Jonathan Heslop and George Lill were budding entrepreneurs selling beds of nails from the back of a tent in South Auckland. Fast-forward to today, and they’re still together in a business which has expanded from struggling to sell five mats a week to a global enterprise operating from a warehouse and office in Christchurch, employing nine staff. What they’re selling is a simple but effective health tool based on the Indian ancient practice of lying on a bed of nails to enhance relaxation. The Shakti acupressure mat is about the size of a doormat, an organic cotton sleeve coloured with organic dyes, inserted with a padded mat with fixed non-toxic, recyclable plastic spikes. It’s touted as supporting healthy circulation, boosted energy levels, sound sleeping habits and muscle relaxation. In an age when many people are sitting all day and experiencing life’s everyday stresses, it’s a phenomenon that has thousands of converts of all ages. 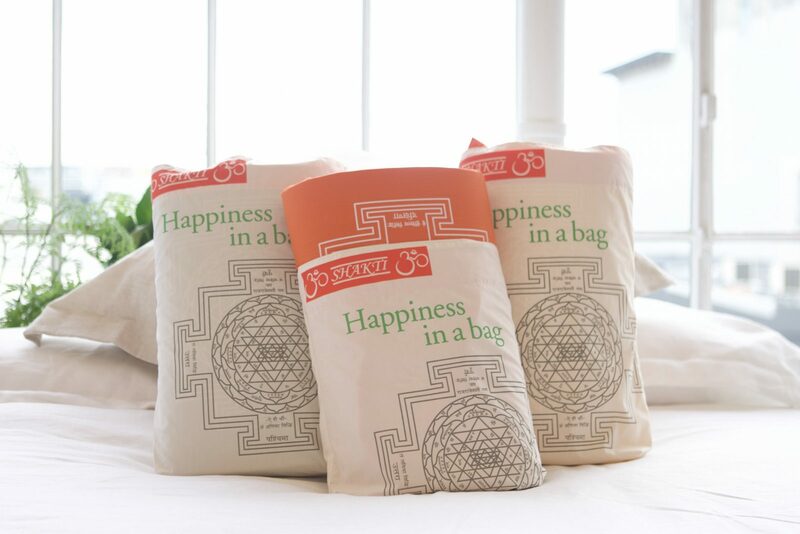 The enterprising duo has just spent five months in The Netherlands expanding Shakti mat into Europe, setting up a company that sells in the UK, Netherlands and France. Lying on a bed of nails might seem odd to most, but company directors Jon and George owe the success of Shakti Mat to the plenty of sterling testimonials and reviews they’ve received. The idea for the business venture was sparked almost four years ago on a holiday off the coast of Thailand in Ko Pha Ngan. Having used the mat and curious to learn more, they discovered it had a strong following in Sweden, where a staggering 10% of the population own a Shakti mat. “We were drawn to the mat right away because George and myself both take an active interest in mindful health and we appreciate the practice of yoga, acupressure and meditation,” says Jon. After a year of traditional retail platforms of expos, mall stalls and door-to-door sales, George and Jon decided to transition Shakti Mat into an e-commerce business, prompted after seeing the online response from sending a mat to health and wellness blogger Makaia Carr. “Makaia introduced our product to an audience of women who are active and interested in health and wanted to learn more about healthy habits,” says George. Embracing e-commerce and using other digital influencers has seen their business grow, with many top-tier rugby teams and other sports stars among its fans. Back in Christchurch, the growth of the business has meant expanding the tight knit team that all work as part of a positive collaboration, keeping much of it ‘in the family’. “We’ve been able to employ friends and family including my Aunty who is our office manager, and at lunchtime we all take a break from the factory and enjoy football and ‘Tai Chi at 3’,” says George. Please go here for a video on how the Shakti Acupressure Mat works.